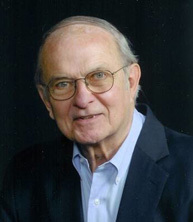 Professor Hagen received his SB and SM in physics from the Massachusetts Institute of Technology in 1958 and his PhD from MIT in 1962. He then took a research associate position at the University of Rochester and was made an Assistant Professor of Physics in 1965. He was promoted to Associate Professor in 1968, and to Professor in 1974. Professor Hagen is a fellow of the American Physical Society. He was named an Outstanding Referee by the American Physical Society in 2008 and was awarded the Society's 2010 J. J. Sakurai Prize in theoretical particle physics "elucidation of the properties of spontaneous symmetry breaking in four-dimensional relativistic gauge theory and of the mechanism for the consistent generation of vector boson masses." He was the recipient of the Department's Excellence in Undergraduate Teaching Award in 1996 and 1999. Professor Hagen's research interests are in the field of Theoretical High-Energy Physics, primarily in the area of quantum field theory. Work in recent years has been concerned with such topics as the soluble two dimensional theories, Chern-Simons field theory, the Aharonov-Bohm effect, and the Casimir effect.